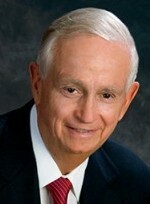 Norman “Norm” Augustine is the retired chairman and CEO of Lockheed Martin Corporation. 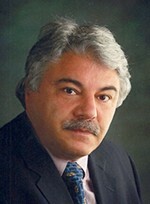 He currently serves as a member of the U.S. Department of Homeland Security’s Advisory Council. A longtime proponent for ensuring the place of science and engineering on the nation’s list of priorities, Augustine chaired the National Academy of Sciences’ panel that issued Rising above the Gathering Storm: Energizing and Employing America for a Brighter Economic Future and testified before Congress regarding the report. Augustine has recently served as a member of the President’s Council of Advisors on Science and Technology. Augustine has received the President’s National Medal of Technology and the Joint Chiefs of Staff Distinguished Public Service Award. He served as assistant secretary of the Army, undersecretary of the Army, and acting secretary of the Army, and chairman and principal officer of the American Red Cross. Augustine has served as a member of the boards of the University System of Maryland, Johns Hopkins University, Princeton University, the Massachusetts Institute of Technology, and many other corporate and non-profit boards. J.W. Marriott, Jr. is Executive Chairman and Chairman of the Board of Marriott International, Inc., one of the world’s largest lodging companies. 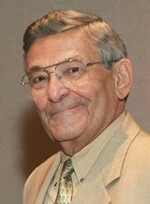 He was Chief Executive Officer and Chairman of the Board for 40 years, before stepping down on March 31, 2012. His leadership spans nearly 60 years, and he has taken Marriott from a family restaurant business to a global lodging company with more than 3,700 properties in 74 countries and territories. Known throughout the industry for his hands-on management style, Mr. Marriott has built a highly regarded culture that emphasizes the importance of Marriott’s people and recognizes the value they bring to the organization. Today, there are approximately 300,000 employees at the company’s headquarters and other offices, and at managed and franchised property locations. Marriott International is also well known as a great place to work and for its commitment to diversity, social responsibility and community engagement. It has consistently been named to Fortune’s lists of most admired companies, best places to work and top companies for minorities. 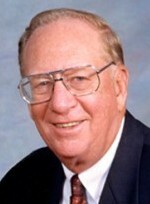 formerly of Computer Data Systems, Inc.
Clifford “Cliff” Kendall was a founder, chairman and CEO of Computer Data Systems, Inc., launched in Rockville in 1968. He is a longtime Montgomery County resident and has been active in the county and state, serving in leadership roles at The Technology Council of Maryland, the Greater Washington Board of Trade, the Montgomery County Education Connection, and the Maryland Economic Development Commission. Kendall chaired the University System of Maryland’s Board of Regents for eight years, served on the Universities of Shady Grove’s (USG) Board of Visitors, as was a trustee of George Washington University. He co-founded and chaired the Community Foundation of Montgomery County, and serves on a number of other corporate and nonprofit boards. A graduate of the University of Maryland, College Park and George Washington University, he is a committed advocate of higher education and higher education access. In 2007, he and his wife, Camille, endowed the Kendall Scholars Program at USG, which assists 20 high potential Maryland students each year who have financial need and demonstrate a commitment to community service. Swept along by the genocidal tides of world history, Aris’s Armenian family sent him to the United States in 1969. After earning his B.S. in Mechanical Engineering from UMD, Aris worked for Singer Simulation Products, Inc. and then for Potomac Electric Power Company, as a senior project engineer. After leaving Pepco, Aris entered into a long string of Montgomery County-focused business ventures. To this day, Aris considers his development of the Crown Farm Project to be his signature victory in the real estate development world. But that was all before Aris decided what he really wanted to do with his life, before he arrived where he belonged, as the head of Technology Patents, LLC. 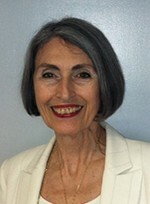 Carol Trawick, along with her husband Jim, founded Trawick & Associates, a Bethesda-based information technology company in 1985. The company’s major client list included such giants as the Metropolitan Washington Airport Authority, the Patent & Trademark Office, The Department of Agriculture, Office of Thrift Supervision, the IRS, Department of Defense and the Department of Energy. The company was named to the Inc. 500 list of fastest growing private companies in the U.S. In 1992 the Montgomery County Government recognized the company for its contributions to the community. She was the recipient of Leadership Montgomery 2004 Outstanding Leader Award and was named the Gazette Newspapers’ 2006 Executive of the Year. Mrs. Trawick sold her business in November 2006 to a New York private equity firm and established a private foundation in January 2007 supporting Montgomery County health and human service and nonprofit organizations for the arts. 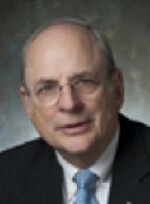 Born in Washington, D.C. and a graduate of George Washington University, Sid Kramer is currently President of Kramer Enterprises, a real estate management firm. He began his business career in Montgomery County by building a successful chain of car washes and launching a commercial construction enterprise allied with a property real estate management company. Kramer has s strong commitment to public service as demonstrated by his membership on the Montgomery County Council from 1970-74, serving as Council VP in 1974. He was also the Montgomery County representative to the Region IV Board of the Governor’s Commission on Law Enforcement and the Administration of Justice from 1971-74. Kramer was elected to the Maryland State Senate in 1978, serving there until becoming the third Montgomery County Executive in November 1986. Always active in community organizations, Sid is a former president of the Montgomery County Chamber of Commerce, president of the Rotary Club of Silver Spring, Vice-Chairman of the Executive Committee of the Montgomery United Way, Director of the ARC of Maryland, and a member of the Board of Trustees of Holy Cross Hospital.